Mr. Augustine C. "Gus" LeBrun (1884-1924), the black sheep of the LeBrun family of San Francisquito Canyon, was killed in a police shootout in which he murdered Deputy Constable Ed Brown. The gunfight ended when Constable Jack Pilcher shot LeBrun in the head. Read the full story here. 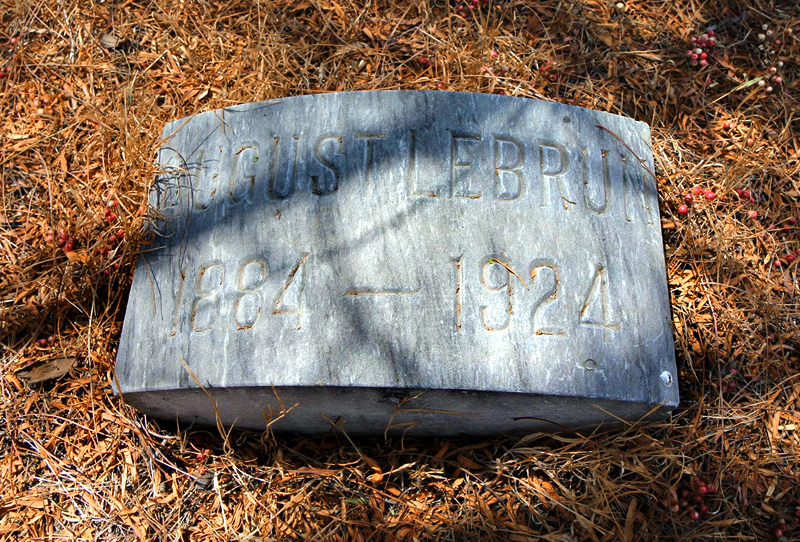 Note: Over the years, Gus LeBrun has been listed in the census of both the Ruiz and Mitchell cemeteries. 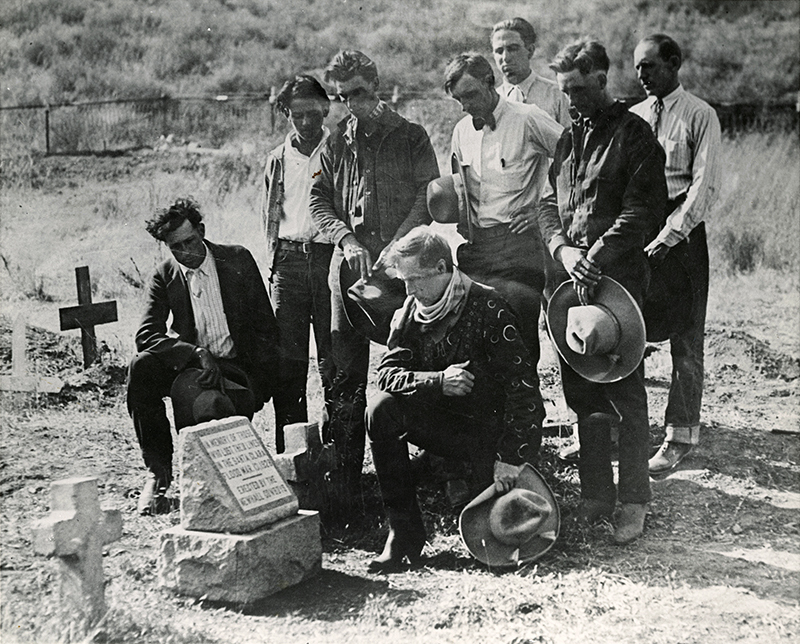 At a minimum, we can say for sure that his headstone is in the Ruiz Cemetery. LP2401: 19200 dpi jpeg from digital image by Lauren Parker.